Enjoy La Comedia's delicious buffet and the live production of Driving Miss Daisy. Winner of the 1988 Pulitzer Prize and the Outer Critics Circle Award for Best Off-Broadway Play, Driving Miss Daisy highlights the unlikely relationship between an aging, crotchety white Southern lady, and a proud, soft-spoken black man. Having recently demolished another car, Daisy Werthan, a rich, sharp-tongued Jewish widow, must rely on the services of a chauffeur. In a series of absorbing scenes spanning from 1948-1973, the two become close, finding steady comfort and support in each other in a humorous and beautiful journey of friendship. The cast of ‘Driving Miss Daisy’ is small, its set is relatively simple, and there isn’t a single musical number; but it’s a highly entertaining show that’s full of emotion. Its two main characters are memorable by the friendship formed between them and each actor gives a wonderful performance. I remember seeing the movie as a teenager in the theater and seeing the staged production as a middle aged, errr a young man at La Comedia left an equally lasting impression on me. For those familiar with the film, (winner of Best Picture) the stage show is a very close representation. The play actually came before the movie, and in a series of short scenes spans from 1948 to 1973, follows the relationship between an elderly white Southern woman and a soft-spoken black man. I don’t know the real age of Sue Combs who portrays Daisy, but I’m still certain that her talent exceeds her in years. She masters the wicked tongue of a crotchety old lady, who says whatever she’s thinking without any concern for others. Miss Daisy is prideful and struggles with the reality of no longer being able to do some things for herself, such as drive. A modern day Uber driver, Hoke is hired to be Miss Daisy’s personal driver, and is forced to deal with her negative attitude. Though every turn Hoke makes is believed to be wrong and he must drive under the speed limit, he always reaches the destination. It’s hard to fill a role played by Morgan Freeman, but Justin Lampkins manages to do so. Lampkins gives Hoke his own voice and totally nails every aspect of the character, including his limp. Lampkins and Combs have a great chemistry together, which culminates in a very touching scene where the characters friendship is cemented. Grab a couple extra napkins from the buffet to wipe your eyes with as the show winds down. They both also deserve credit for their portrayal of the aging process as not only does Hoke’s beard whiten, but their physical mannerisms begin to change. 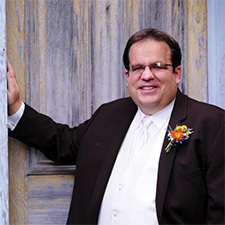 The greatness within the cast’s trio is continued by none other than Chris Kramer as Boolie, who is Daisy’s son. Kramer is as dependable as the sweet potato soufflé, as both of them never disappoint and leaves you feeling fulfilled. Though the set is simple, never changing throughout the show, it’s very nicely designed and serves its purpose well. A nice touch is the rotating portion of the stage that makes up the vehicles that Hoke and Daisy ride in. Plus there’s a screen that projects an image based on the setting of the scene. 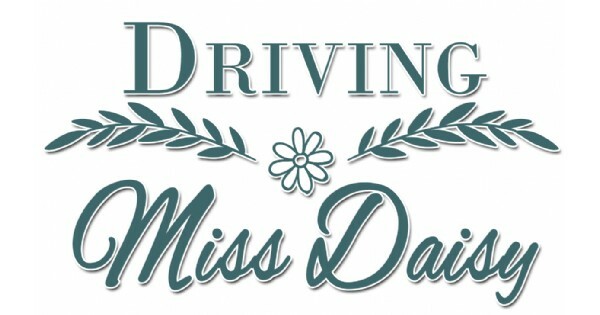 ‘Driving Miss Daisy’ is a very enjoyable, smooth ride as with Lampkins guides you on an emotional journey full of heart. Join Combs in the back seat, sit back, relax and enjoy the show at La Comedia, now through September 23. Find more events like "Driving Miss Daisy"
The Lacomedia Dinner Theatre in Springboro Ohio - Combining Broadway-style entertainment and fine dining since 1975!